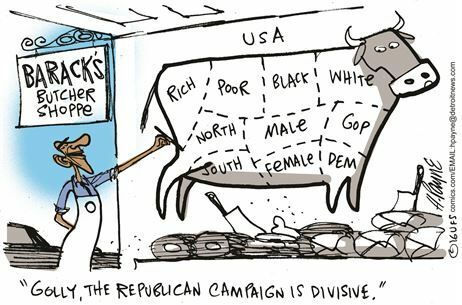 Especially those that remember for a FACT that Hillary Clinton’s people started the “birther” meme back in 2008 when she was going after then-Senator Obama. 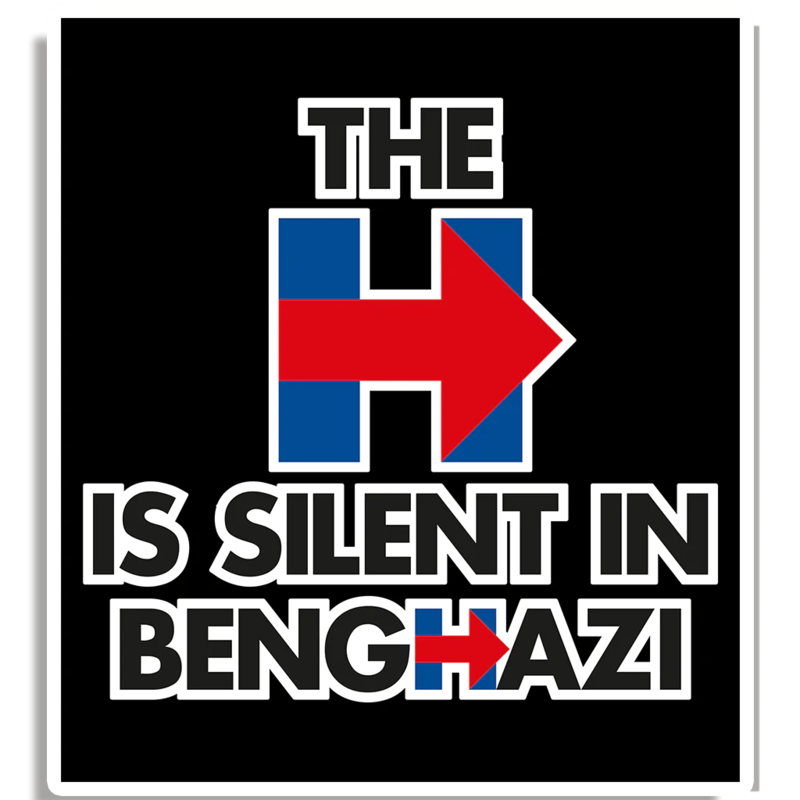 The Liberal Media has been working itself into a frenzy lately playing word games like saying since Hillary HERSELF didn’t say it, it didn’t happen or simply it never happened despite the evidence to the contrary. Liberals never let facts get in the way of their Agenda. The End justifies the means, after all. So lying is an acceptable means. So the same outlets that reported the story in 2008 are now denying it vehemently with great gusto and partisan passion in 2016 because now SHE is running. Bloomberg’s John Heilemann—the co-author of the 2008 campaign book Game Change—and MSNBC’s Joe Scarborough also confirmed that Hillary Clinton’s campaign was behind mainstreaming the birther theories. PATTI SOLIS DOYLE: There was a volunteer coordinator, I believe in late 2007, I think in December, one of our volunteer coordinators in one of the counties in Iowa. I don’t recall whether they an actual paid staffer, but they did forward an e-mail that promoted the conspiracy. WOLF BLITZER: The birther conspiracy? DOYLE: Yeah. Hillary made the decision immediately to let that person go. We let that person go. Just when it appeared that public interest was fading, celebrity developer Donald Trump has revived the theory that President Barack Obama was born overseas and helped expose the depth to which the notion has taken root—a New York Times poll Thursday found that a plurality of Republicans believe it. If you haven’t been trolling the fever swamps of online conspiracy sites or opening those emails from Uncle Larry, you may well wonder: Where did this idea come from? Who started it? And is there a grain of truth there?The answer lies in Democratic, not Republican politics, and in the bitter, exhausting spring of 2008. At the time, the Democratic presidential primary was slipping away from Hillary Clinton and some of her most passionate supporters grasped for something, anything that would deal a final reversal to Barack Obama. Tau and Smith detailed in a lengthy four-page-long investigation how in April 2008, when Clinton was slipping in her battle against Obama for the Democratic nomination for the presidency, “Clinton supporters”—as they say—circulated an anonymous email chain that pushed the theory. “Barack Obama’s mother was living in Kenya with his Arab-African father late in her pregnancy. She was not allowed to travel by plane then, so Barack Obama was born there and his mother then took him to Hawaii to register his birth,” the email that Clinton supporters circulated read. In fact, Clinton’s 2008 campaign manager Patti Solis Doyle confirmed that Penn wrote the memo via Twitter on Friday of this week—and also appeared on CNN to confirm that he did while working for the campaign and that he was fired for it. BLITZER: Someone supporting Hillary Clinton was trying to promote this so-called Birther issue? What happened? DOYLE: So we — absolutely, the campaign nor Hillary did not start the Birther movement, period, end of story there. There was a volunteer coordinator, I believe, in late 2007, I believe, in December, one of our volunteer coordinators in one of the counties in Iowa — I don’t recall whether they were an actual paid staffer, but they did forward an email that promoted the conspiracy. DOYLE: Yeah, Hillary made the decision immediately to let that person go. We let that person go. And it was so, beyond the pale, Wolf, and so not worthy of the kind of campaign that certainly Hillary wanted to run. That’s not all. In fact, former Washington, D.C., McClatchy newspapers bureau chief James Asher on Twitter directly confronted Clinton questioning why her close friend and adviser Sidney Blumenthal was personally pitching him the story on Obama’s birthplace back in the 2008 election. The former D.C. bureau chief for McClatchy claims that a representative from the Clinton campaign approached him about investigating the Obama “birther” claim in 2008. The new claim is casting doubt on the Clinton’s denial that her campaign was the first to raise questions about President Barack Obama’s place of birth. In a recent tweet, former bureau chief James Asher said that in 2008 Sidney Blumenthal, a longtime Clinton staffer and confidant, told him “face-to-face” that Obama was born in Kenya. Not only that, though, but as MSNBC’s Chris Matthews detailed back in 2008, Hillary Clinton herself refused to put the rumors to bed. “Hillary Clinton seemed to pass up an opportunity to once and for all put to rest the false rumor that Barack Obama is a Muslim,” Matthews said on his show on March 3, 2008. But we also know that the Liberal Media doesn’t care about the facts. I was in an airport waiting for a flight yesterday and the banner on the bottom of the CNN news cast was about how Trump Lied. On my connecting flight 2 hours later, CNN was STILL again or still arguing that it was a lie. Liberals are impervious to facts when facts conflict with their Agenda. If you report that they started it in 2008, now in 2016 you’re the “birther” or “a convert” to being a birther. Why? Because they say get to say what is true at that moment, and if it changes, it changes. The Facts are only the facts as long as the serve the Agenda. And you are not allowed to disagree with that. “Affluenza” is the new term for youth who grow unstable due to wealth. “Pauperenza” is my term for Millennials who lose touch with reality due to poverty. Pop star Justin Bieber gets arrested in Miami Beach for getting high and clocking 136 mph while drag racing in a Lamborghini. Bernie Sanders fans pout and shout: Free College! Universal Debt Forgiveness! $15 Minimum Wage! Rich or poor, the kids are not all right. Maybe that should be Pamperedneeza? A survey by Harris Poll last month found that Millennials fear taxes more than any other generation. 80% of young people ages 18-34 tell pollsters they shudder at the thought of paying and filing taxes. Yet my young peers clamor for programs that will ultimately raise their taxes. To be fair, Millennials weren’t born this way. For the most part, our parents—the Baby Boomers—went easy on us. 82% of Boomers did household chores as children, but when they became parents only 28% required their children to do chores according to a 2014 Braun Research study. A new study finds that Millennials even refuse to eat cereal because it involves work (pouring cereal and milk into a bowl and then putting a bowl and spoon into a dishwasher). The good news is, it’s not too late for us to reform. We’ll become happier and more successful while our parents will get a much-needed break. Millennials are poor in two respects: education and economics. With regard to education, their college professors—whom I fondly refer to as “The Mafia”—massage their malleable minds until they believe that capitalism is dangerous and socialism is a cure-all, while not understanding the meaning of either term. Economically speaking, one-in-four Millennials lives at home with their parents. And this is even down from one-in-three during the middle of Obama’s presidency. $19 trillion in debt, our country is broke. Plus, the rich will continue to expatriate if taxes soar. Millennials do not realize that the programs they think will level the playing field between themselves and the super-rich will raise their taxes and make the tax-paying process more formidable. Lowering the minimum wage to $0 would actually help Millennials more than raising it to $15, or even $100. It’s often unpleasant to face reality. A flat tire is an inconvenience, but shouting “Buy me a new car!” at passing drivers gets you nowhere. Yet this is how Millennials attempt to solve their fiscal challenges. YA CAN’T FIX WILLFULLY IGNORANT, Can you? Street rule generally doesn’t turn out well. The guillotine was used by French aristocrats to purge commoners as well as by commoners to purge aristocrats—while doing little to solve either party’s grievances. We must educate our young people so that politicians on both sides are no longer able to manipulate them. On the one hand we have “Republicans” like Paul Ryan who approve $1.2 trillion spending bills—and on the other we have Bernie Sanders and Hillary Clinton promising free college for which they know they can’t pay. Millennials fear taxes, but the entitlement programs for which they clamor will cause our country to go broke—a fatal taxation on their future hopes and dreams. Share this with young people you know so the truth might heal their Pauperenza. I must say, I enjoyed the display of tolerance and “choice” yesterday when the little socialist anti-Trumps were blocking people from going to the Trump rally. Here’s a woman who lies so often that her name has practically become synonymous with deception. Unlike her husband, who was such an artful liar that people wanted to believe him when he wasn’t telling the truth, Hillary is ham-fisted about it. She tells obvious lies that everyone from the media to her enemies, to her friends know are lies right from the beginning. How do you vote for a woman so dishonest that she claims her daughter was jogging around the World Trade Center on 911 or said with a straight face that she landed under sniper fire in Bosnia? 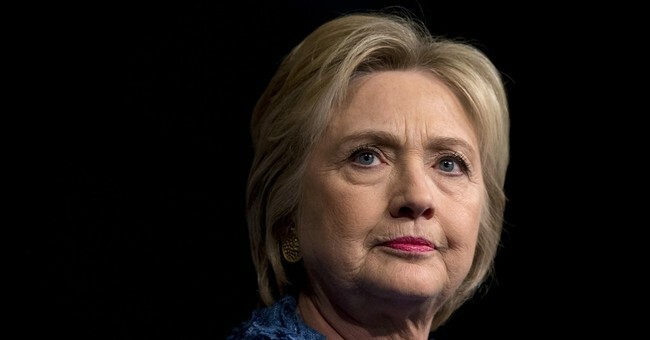 When she lies about having her own email server and about putting our national security at risk by having huge numbers of classified emails sent to it, how do you respect yourself when she gets caught lying about it over and over again? That would be a much better slogan than “Hillary For America.” Other than Barack Obama, there’s no one that half of America would rather see in the White House less than Hillary Clinton. When you choose someone who has been despised by half the country for as long as Hillary has as your candidate, you’re saying “Screw you and drop dead” to everyone who doesn’t vote for your candidate. That’s doubly true since it goes without saying that there can be nothing but open political warfare between the GOP and a woman who has publicly declared that “Republicans” are her enemies. If you think our government is dysfunctional now, you haven’t seen anything compared to what it will look like if Hillary becomes President. It’s disgusting and ironic that a woman who worked overtime to protect a sexual predator like her husband from the consequences of his actions now wants to play the “girl power” card as the central theme of her campaign, but she has long since abandoned human decency in her all-consuming quest for power. But, what do you say about the people who are willing to potentially play along with this disgusting charade for the next eight years? The people who are just fine with pinning every failure, every lie and every inevitable disaster caused by Hilllary Clinton on sexism? If you at least feel a little bit of shame when you pull the lever for Hillary, then congratulations, you still have a heart.